Round 27 of the Turkish Airlines EuroLeague regular season is in the books and after the dust settled, two more teams have punched their tickets to the playoffs. 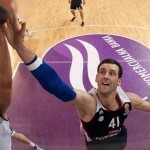 Despite getting edged out by CSKA Moscow, 78-80 on Tuesday, Anadolu stick firmly in fourth place with their 17-10 record and are mathematically guaranteed to advance. 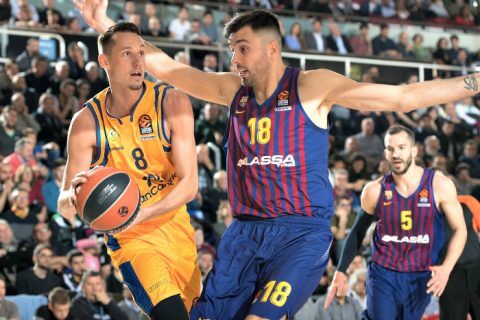 FC Barcelona Lassa crushed Herbalife Gran Canaria 93-64 in an all-Spanish showdown. They improve to a 16-11 record and also bag a spot in the playoffs. With three rounds remaining in the regular season, the rush for the three playoff berths should come down to a mad frenzy. As things currently stand Baskonia Vitoria-Gasteiz, AX Armani Exchange Milano and Olympiacos Piraeus are in sixth to eighth place, respectively with 14-13 records. It does not end there though, because Panathinaikos Athens is sitting in ninth with an identical record to theirs. It’s a long shot and some of these teams in the hunt would need to stumble but Zalgiris Kaunas, Maccabi Tel Aviv, and FC Bayern Muenchen – all of which have 12-15 records could be dark horses to slide into the final spot but will need some of the chips to fall their way.